CHASIN' was established in 1992 by Jan Peters. CHASIN' has been succesful in the Benelux market for over 20 years. 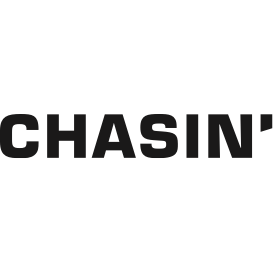 The Brand name CHASIN' is inspired by the song: "Chasin' a Dream" by Tashan. From an album a friend of Jan found in 1990. CHASIN' is made for the curious individual, who wants to cross boundaries and live his life to the fullest. A guy, like Jan, inspired by the energy and no-nonsense attitude of a rock star. A guy who breathes "lust for life". Deze Chasin' vestiging gesloten? Probeer dan één van de andere Kleding in de buurt. Openingstijden Chasin' Kalverstraat 30 in Amsterdam. Bekijk ook de koopavond en koopzondag blokken voor aanvullende informatie. Gebruik de 'Kaart & Route' tab om de snelste route te plannen naar Kalverstraat in Amsterdam.